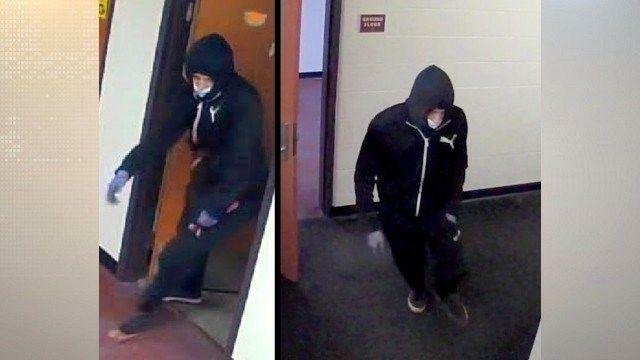 BINGHAMTON, N.Y. -- A 19-year-old freshman was fatally stabbed on New York's Binghamton University campus and a fellow student suspected of attacking him was taken into custody after a search Monday, reports CBS affiliate WBNG. Engineering student Joao Souza was attacked at about 10:30 p.m. Sunday in a residence suite on the campus near the Pennsylvania state line. The attacker fled on foot. "Law enforcement believes the attack was not a random act and that the victim was targeted," university vice president Brian Rose said. Broome County District Attorney Steve Cornwell announced at a news conference that the suspect had been taken into custody. Michael Roque, 20, pleaded not guilty to a charge of second-degree murder. A public defender representing him entered the plea on his behalf. Souza had previously attended high school in New York and was a native of Brazil, where his family was notified, according to the university. This was the second slaying of a student in the last two months. On March 9, the body of Binghamton nursing student Haley Anderson, of Westbury on Long Island, was found in the off-campus apartment of a fellow student she had briefly dated. She had been strangled. "For the second time this semester we've struggled to absorb the news that one of our students has been killed," Rose said. The Broome County district attorney's office is seeking to have that suspect returned from Nicaragua, where he was arrested, to stand trial.